With the increasing of our age, our natural lens of the eye loses its transparency. It gets cloudy appearance with little yellowish color. In Cataract surgery, the cloudy natural lens removed from the eye. In most cases, the focusing power of the natural lens is restored by replacing it with a permanent intra ocular lens (IOL) implant. In connection with this, the power of the intra ocular lens should be determined. The method that calculates the IOL power is called as Optical Biometry. Axial Length (Axial Length distance from the Cornea to the Retina ) Keratometry Readings (Diopteric power of the Cornea) are the two main readings that are required in calculating the IOL power. This test is performed by skilled Optometrists, Ophthalmic Technologists & Ophthalmic Assistants. Ophthalmic biometry examinations can be done using an immersion technique, contact technique or using IOL Master. High quality IOL Master–optical biometry mechanism and the other techniques are available at vision care for this assessment and we are proud to be the first optical company who facilitated A’ scan service to the public without a waiting list. In Immersion A’ scan biometry, the patients are placed in a supine position on a flat examination table or in a reclining examination chair and a drop of local anesthetic is applied in both eyes. Then a sclera shell is applied on to the eye. The shell is filled with BSS solution. The ultra sound probe is immersed in the solution in the shell 5 to 10 mm away from the cornea. The patient is asked to look with the other eye at a fixation point placed at the ceiling. Attention is then focused on the screen. The shell is applied on the sclera until the probe is properly aligned with the optical axis of the eye and an acceptable A’ scan echogram is displayed on the screen. When using the contact method, the patient is examined in the selected position and a drop of local anesthetic is installed in both eyes. 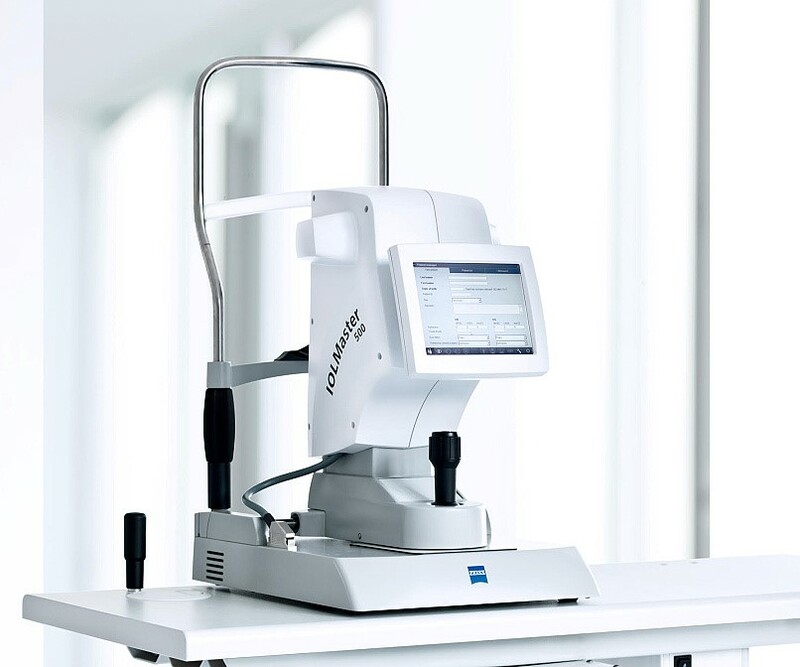 It is rapidly becoming apparent that the most accurate way to measure AL is with ‘Carl Zeiss Meditech IOL Master’ using the 4th generation software by immersion biometry. The IOL Master uses light rather than sound to measure axial length. The technology for Al measurement incorporate in this pioneering system is based on the principle of optical biometry partial coherence interferometry. The IOL master is extremely user friendly because there is absolutely no contact with the eye. IOL master allows calculating IOL data using standard international biometry formulas and selecting the lens type from a data base. The most common method of measuring AL is by the applanation (Contact) technique. However unless this is done by a highly skilled technician it tends to produce myopic surprises because of indentation of the cornea. It is believed that any surgeon who wishes to produce excellent distance vision for patients with accommodating or multi focal lens should switch as soon as possible to the IOL master or immersion biometry for AL measurements. In addition K’reading is best taken from the IOL master or manually. sing partial coherence interferometry has become the gold standard in ocular biometry as it is highly accurate, easy to perform, non-invasive and comfortable for the patient. 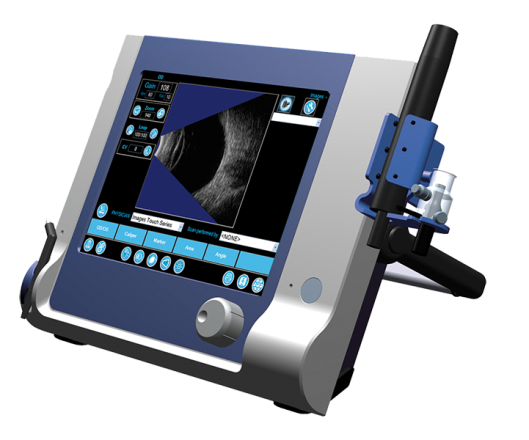 The accuracy of optical biometry, and in particular the IOLMaster, has been extensively confirmed across a wide range of scientific studies. Patients with cataract s before cataract surgery in the process of IOl purchasing, Patients expecting to get a Refractive surgery done at the request for biometry from an eye surgeon & At the request of an eye care practitioner or an Ophthalmologist or an eye surgeon in situation where Axial length, K Reading or ACD measurement are required. Patients who are after any kind of eye surgery within the period of 2 weeks. 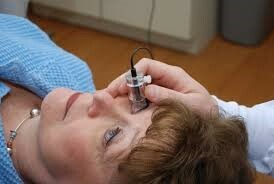 It is recommended to get eye surgeon’s advice before biometry if the patient is immediately after an eye surgery. Soft Contact Lens wearers are advised to get biometry done after 30 minutes of contact lens removal. Hard Contact lens wearers are requested to remove the lens for 24 hrs to obtain accurate readings.